← House Hunting in Denver: Hello Midtown! After house hunting for less than two months, Pie and I had decided we would buy a brand new home from an urban infill community called Midtown at Clear Creek. Our next step was to pick a house! Just when we thought the tough decision making was over, we had a new big decision on our hands! Brookfield Residential, the home builder we wanted to go with at Midtown, had six different layout options to choose from. 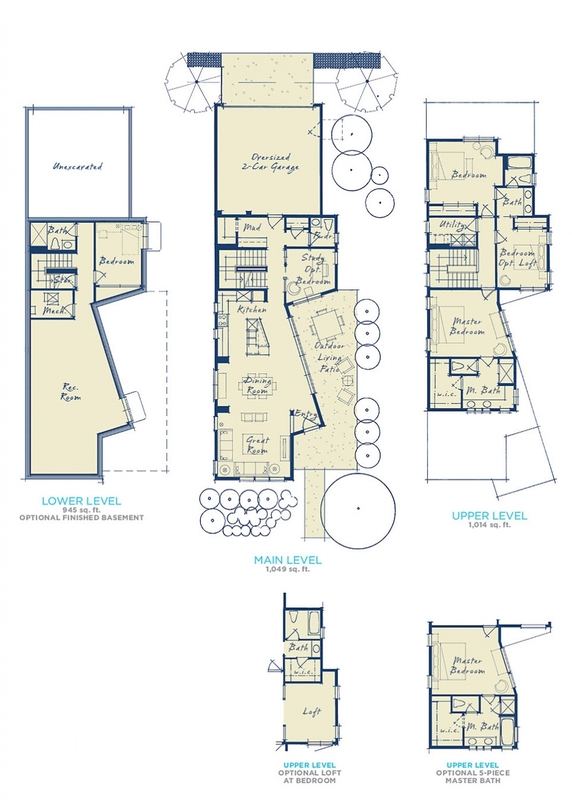 They were all great options and we couldn’t go wrong with any of them, although it was easy to be swayed towards the layouts that the three model homes featured because there was no imagination required for these. In fact, one of the layouts that we had been leaning towards was one featured in the model homes. It was also one of the most popular layouts. We wanted to avoid choosing such a popular layout that all of our neighbors would have, but when it came down to the nitty gritty details, it did make the most sense for our lifestyle. The entire bottom floor featured a completely open layout with enough room for the kitchen and living area, as well as a dining area and a large kitchen island with a sink and more seating. The large slider door downstairs was a very neat feature that would allow lots of natural light. It had a convenient study/office downstairs that also had an optional slider door to allow more natural light inside. The master bedroom upstairs did not have another secondary bedroom sharing the same wall. And lastly, this layout had the living area in the front of the house, which was important to me for a very small detail — during the holidays, I wanted our Christmas tree to be visible from the outside of the house and some of the layouts had kitchens in the front of the house instead of a living area or studio. 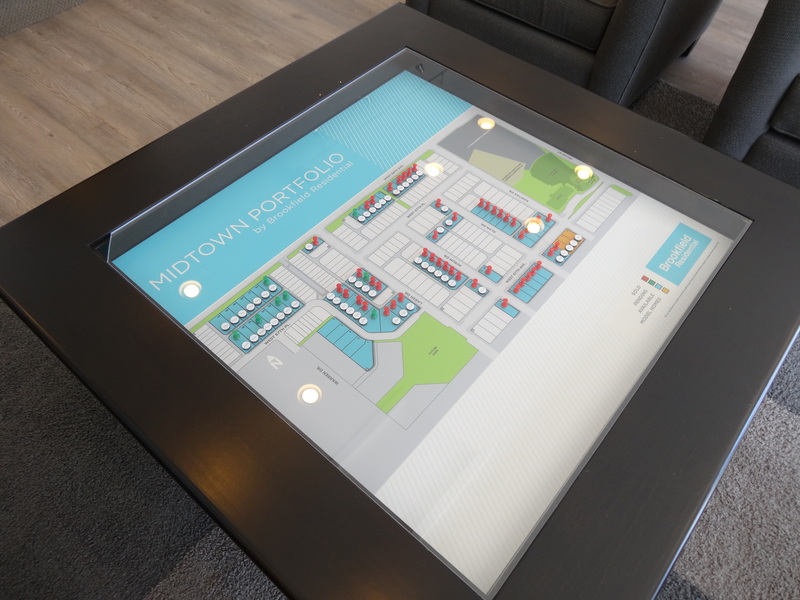 The layout with choose with Brookfield Residential. However, it also wasn’t as simple as choosing a layout. The neighborhood was already planned out by the builder and they determined which blocks they would build on for each coming phase and which layouts would go on each lot. The available homes at Midtown. 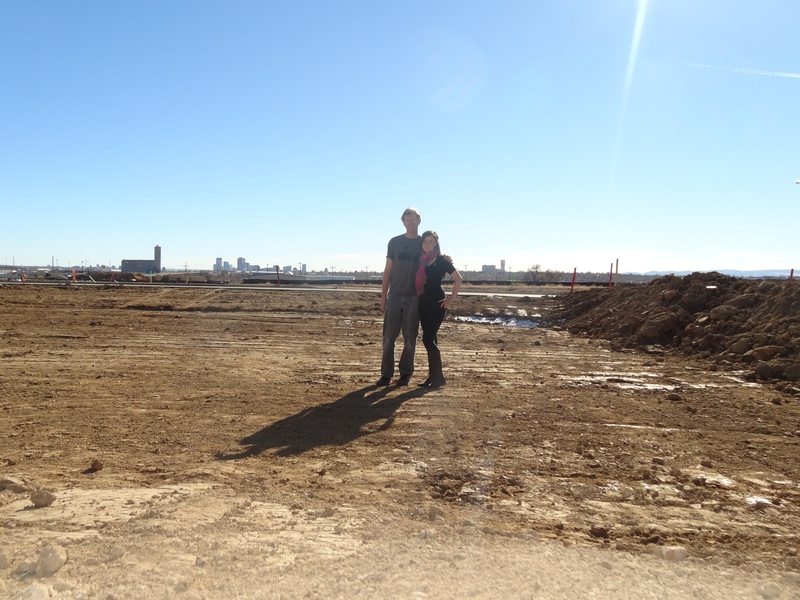 The large corner lot we had been interested in at Midtown during our initial decision making process had been nabbed up in the one week we sat on the fence about whether to purchase from Midtown or Stapleton. That lot was one of the last few left from the previous phase of construction. Luckily, a new phase of construction had just opened when we decided that we were for sure going to purchase at Midtown. We weren’t as thrilled with the location of these homes in the neighborhood as much as the others, but we didn’t have much of a choice at that point. If we wanted to wait and see where the next phase of homes would be built in the community, we might be waiting several months just for the next phase to be released, as well as six to seven months on top of that for the house to be built. In the end, it wasn’t too difficult of a decision to choose a layout and a lot because we were the first to choose a lot from the newest phase and had a choice of any house. The layout we wanted happened to be on a lot that we desired, so we signed the dotted line and drove over to our new piece of land to envision the house we would be living in in less than a year. Super exciting! A ton of DIRT!!!! But more importantly, the lot we picked at Midtown. You can see downtown Denver in the far distance to the south. You can also see one of the ugly, tall buildings from an industrial facility located just south of Midtown. But whatever. Next, came the fun stuff (or what we thought would be fun), picking the details!